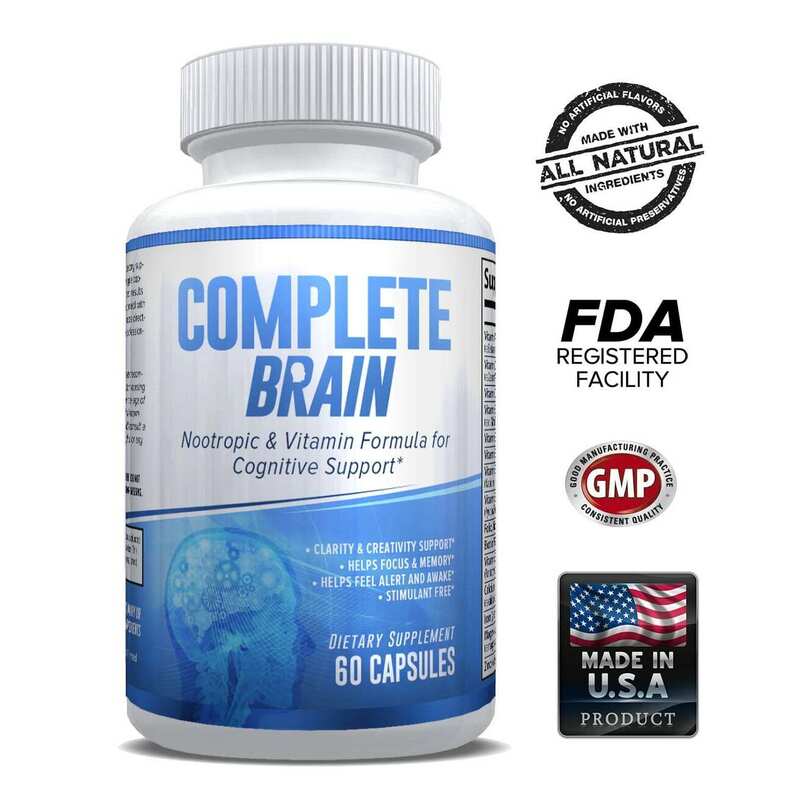 CompleteBrain is a nootropic & vitamin formula engineered for cognitive support and ehancement*. What can you expect from taking CompleteBrain? No Soy, Dairy, or Egg Ingredients. Made in the USA in a FDA registered, GMP facility. 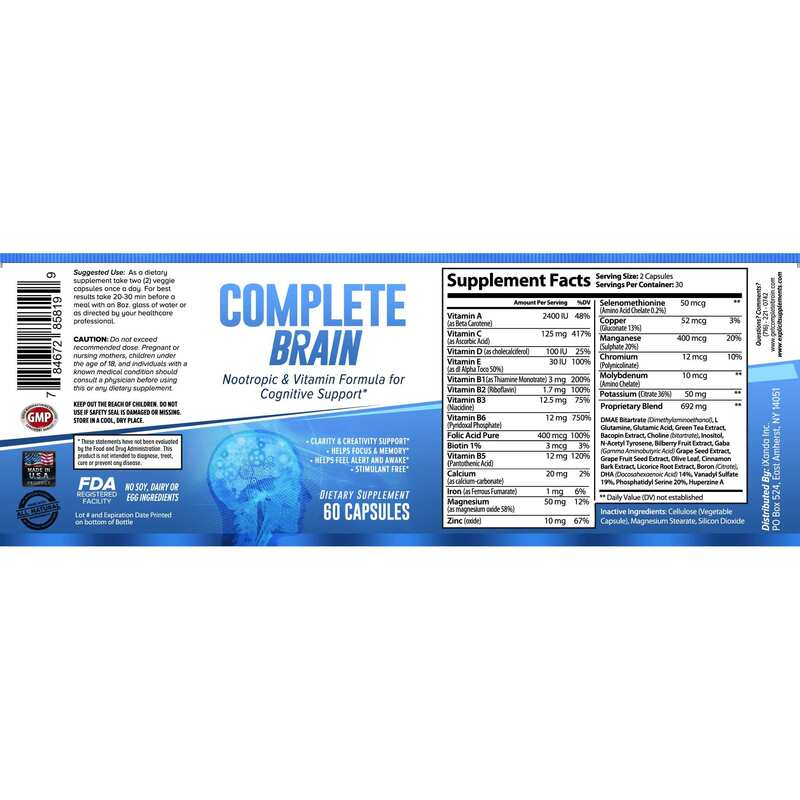 CompleteBrain is a multivitamin and nootropic formula designed from the ground up for today’s fast paced world. Rather than just adding ingredients specific to cognitive function, we included ingredients that are vital to overall wellbeing and specific to general nervous system support but lacking in most modern diets. If your goal is to improve things like focus, concentration and memory you need to make sure you’re getting all the nutrients your body needs before simply taking supplements to improve brain performance. Poor mental performance can be a simple result of missing the right basic nutrients in your diet, so it’s important to address this. 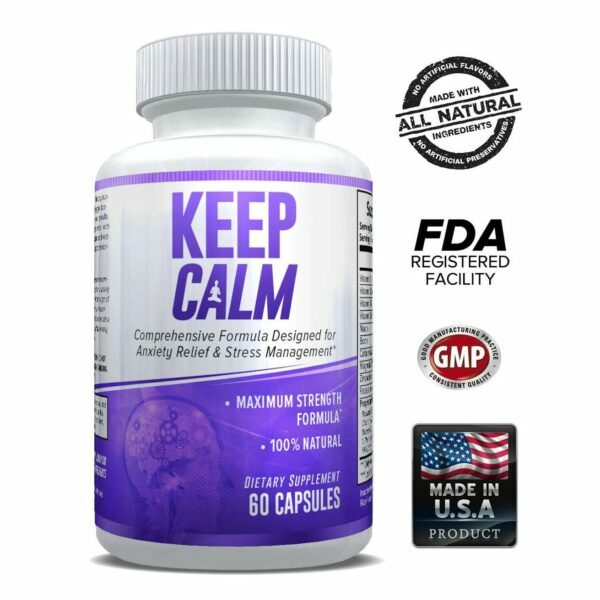 CompletBrain also includes ingredients to support anxiety and stress reduction* – 2 things often getting in the way of clear thoughts and good sleep! No stimulants are in this formula as for some, these can actually cause anxiousness which leads to poorer mental performance. If you work better with caffeine, just take it like normal in addition to CompleteBrain – it will improve the effects. 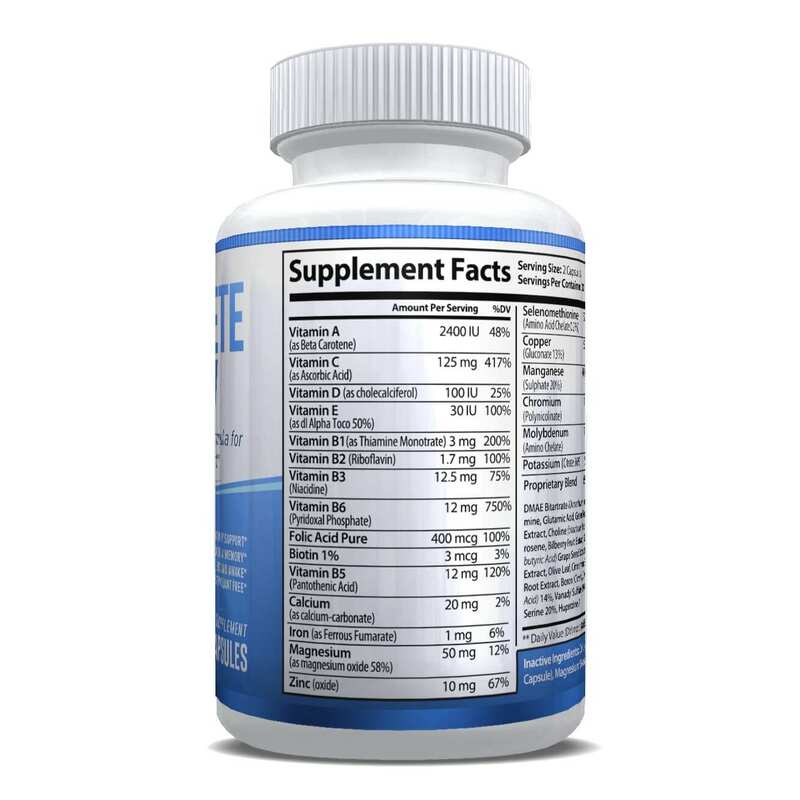 The formula in CompleteBrain is designed to tackle mental performance from 3 angles and has support ingredients for each. Stress and anxiety are productivity killers, it’s almost impossible to focus and think clearely when you’re stressed or anxious. That’s why we included ingredients that help reduce these 2 productivity killers*. “I tried CompleteBrain by eXplicit Supplements because I was looking for something to give me more clarity, help me focus, and help me make decisions quickly. I have long days that can’t afford dips in productivity, and I manage many projects and clients at once, so multi tasking is the only option for me. CompleteBrain gave me exactly what I was looking for with no side effects. Decision fatigue was eliminated, focus was improved, as was clarity. I found a very even and smooth productivity result all day, rather than spikes. The pills were easy to swallow and I am happy that it doesn’t require several pills a day. 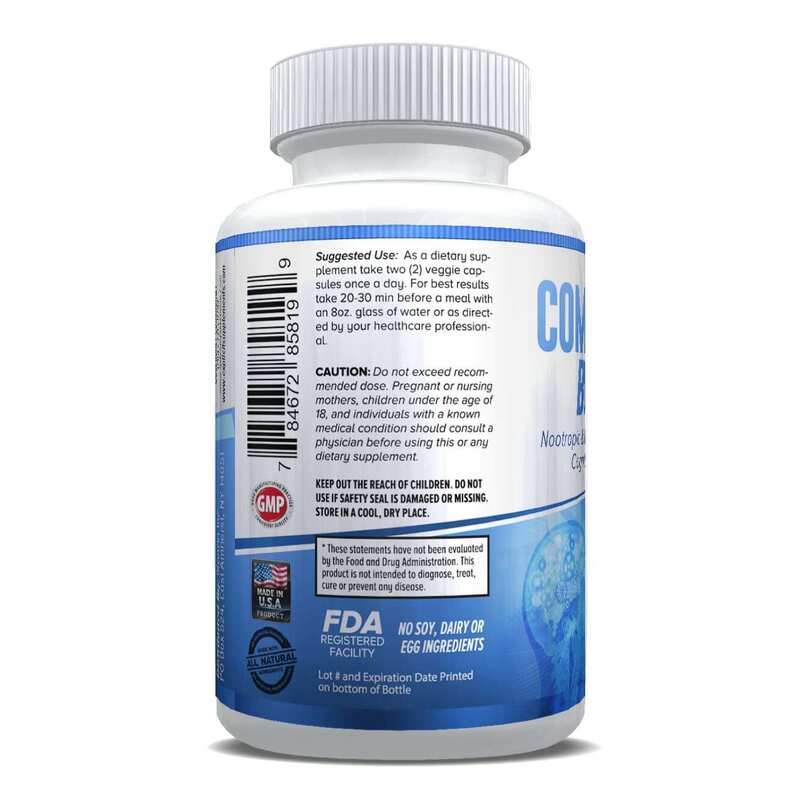 This will be a main stay in my daily routine.” – Tanner Rankin, CEO – Source Approach Inc.
CompleteBrain is made in the USA, Utah actually. Is it produced in a FDA registered facilty that practices GMP, ensuring quality and consistent products. Are there any allergens in CompleteBrain? There are no Soy, Dairy or Egg ingredients so it’s extremely unlikely, but it is produced in a facility that may contain these ingredients. Check with a doctor if you’re concerned. How long do I need to take it to work? We recommend taking it for at least a week, ideally 2. Results will vary individually of course. This isn’t a product designed to give you a high or instant buzz, it’s designed to improve cognitive function over time*. A lot of manufactures pack their formula’s full of stimulants to give users the “feeling” or “buzz” they’re looking which makes them feel like a product works. We focused instead on ingredients that will actually help you achieve your goal. Perfect for those sensitive to stimulants. Caffeine tolerance differs from person to person and has counter intuitive effects when dosed too high. While you certainly don’t need caffeine, it will only work to enhance this product but you can choose the amount. Find the best mix for you. We both know you’ll be drinking coffee or energy drinks anyway! Caution: Do not exceed recommended dosage. 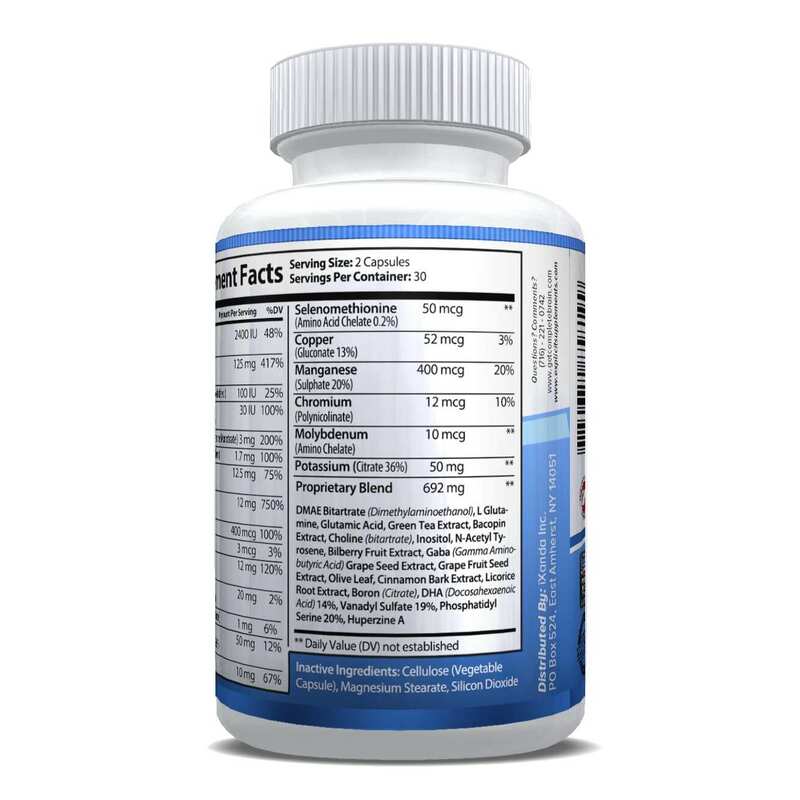 Pregnant or nursing mothers, children under the age of 18, and individuals with a known medical condition should consult a physcian before using this or any other dietary supplement.